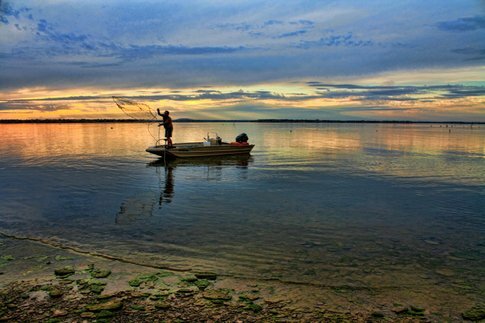 Porum Landing is a popular campground operated by the Army Corps of Engineers on Lake Eufaula. This campground offers a mix of 49 sunny and shaded sites scattered along the bank. A mixture of 15, 30 and 50 amp electric hookups are available, and domestic pets are welcome at the campground. Pack a swimsuit and hit the swimming beach or take advantage of the on-site boat ramp and spend the day cruising on Lake Eufaula. Additional amenities at Porum Landing Campground include a playground, a large picnic shelter and a nearby marina. From Porum, travel west on Texanna Rd for 7 miles. Follow signs into campground.